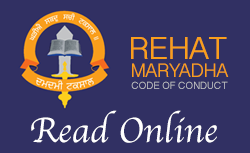 In-depth translation of the Mool Mantar. 1. He is the only God and his shape is one which has no limits. He is all-pervading. 2. He is God having a real shape. By writing one the Guru showed the real traits of God. 3. He has no caste or creed and is free from such things. 4. He who is immortal. He is one. 5. He is the only conscious object and has the shape of oneness. He who is creator of everybody and everything who has given celestial light to everybody. With his own will from one he has taken the shape of every human being. He has no shape but he has taken shape. According to Muslims the God (Allah) said Kun and with it the whole universe including men animal and vegetarian were created. According to the tenth master first of all he uttered the word Onkar. Whole of the universe took its shape with the sound of Onkar. Onkar means he possesses all the virtues. Onkar means he is without a virtue. According to Vedant from one he has taken the shape of ‘many’ or innumerable. Ik Onkar is made up of the words ekohan. From ‘One’ I have taken shape of many. Meaning according to Yog: in the Yogic parlance one who goes to Dasam Duar by means of pranayam is said to have achieved Ik Onakar. According to bhagats (devotes): One who accepts his devotes is called Onkar. Acceptance means the one who recited Onkar his word is accepted by the God as well. 2. A thing which remains in all the three periods (i.e. past present future) is called truthful of indestructible. 3. Whose power is in everybody and who gives power and alertness to everybody. 4. Whose consciousness pervades everybody. 5. In everyone his true shape is to be found. 1. It is very important. Everybody in this world all the Vedas and Shastras are full of the name of the God which is not a secret or hidden from anybody. 2. Who does not contain Nam but is an embodiment of love and affection. 3. (N+am) who does not contain ant formality which is not ordinary and at the same time is not extra-ordinary too. 4. (Aam) name of a disease which is without any disease. 5. Relative meaning: a thing which is heavenly is called Nam. Sat (truth or indestructible) makes a person recite His name. Satnam: his name is embodiment of truth. 1. He who is the creator of the universe. He (God) has created everything. 2. He who has got the power of command sustenance intellect etc. in his hand. He may keep us living or order the hounds of fate to take life out of us. He is called the creator. 3. He has created everything and everybody and it is with his orders that the world is seen to be busy in different tasks. His benevolent hand protects us. He also gives us salvation. 4. (Ka+rta) he is in deep love with everybody. He is present in everybody in the form of love. 5. He who has made everything that can be seen or perceived. 1. He is complete in every place. 2. He is the only man. Rest of the world is like a woman. 3. He saves us from the cruel hands of hell. 4. (Pur+kh) – (Pur) which has the shape of the universe. He is in Puris. In our bodies (which are like Puris) he is present like (kh) i.e. like the sky. The meaning of the whole world Purkh is God is in everyone. 5. All the bodies have the shape of Puris (Kh); can destroy these bodies or Puris. 7. He gives us thought. 8. He gives us mental and physical alertness. 9. Man is called Purkh also. 11. It is indicative of male also. 12. A Mahatma (sage or recluse) is also called Purkh. 13. Purkh also stands for Satguru. 15. Soul and all Souls (human beings) found the true soul (God) and they get perfect salvation. 16. It is also indicated as Brahm. 17. It also stands for Great God (Akal Purkh). 1. Without fear. He is always without fear. Truthful Lord Himself. 2. (Nir) – One who keeps everybody under his command. 3. He keeps under his command even the most horrible and terrible person. He can finish and destroy all these obnoxious people. 4. (Bhau) Bhau is the name of emancipation. (Nir) is especially (fear) and thus Nirbhau means one who is without fear. 5. Bhau is also the name of the creation. He cannot be created because he has created himself. 6. This universe is also called Bhau. He is away from the sins and ignoble acts of this world. Nirbhau also indicates One God. Nirbhau means unique also. The air blows under his fear. Satguru Ji has used the word Nirbhau for God (Akal Purkh) only. Therefore our Satgurus have used the word Nirbhau wherever it is indicative of God (Akal Purkh). 1. He is without enmity or he is with malice towards none. He is not at loggershead with anybody because he is like a soul inside everybody. 2. (Nir-vair – Bad habits) he is above bad habits. He is not addict to opium bhang poppy alcohol etc. meaning thereby: he has not fallen prey to any bad habit. 3. He finishes up the devils like harnaksh by taking the form of Narsingh. Thus he does away with all these evil forces. He is such a Lord who has no enmity with anybody. He lord is a single force of this type. 1. He is above deaf. He can not be destroyed. 2. Kal means a thing which is away from imagination. Moorat means a personality which is perpetual. 3. Kal means one who is away from ignorance. 4. Kal means who is free from all blemishes. 5. Kal means who is ever free from taking alms. 6. A+Kal means he has been found in all the three periods (past present future). He (God) is always present. 7. Kal is the name of time also meaning thereby he is not bound in present past or future. 8. (A) Vishnu (Ka) Brahma (La) Lord Shiv are from Him. 9. Akal (Ak) to the troubles (La) destroyer meaning thereby he does away with all the troubles. Meaning thereby he was in the past or is in present and will be in the future. He is always in the same state. 1. He has such a form which does not come into birth. He is away from birth and death. 2. (Aj-uni) – (Aj) Brahma etc. are also much less than God. None can compete him. 4. That God may be perceived in this vicious circle of birth and death. Though he is above birth and death. 5. He can be seen in everybody; though he is away from birth and death. He gives his celestial light. Moon sun stars etc. give light to the world. These sources of eternal light are said to be six. 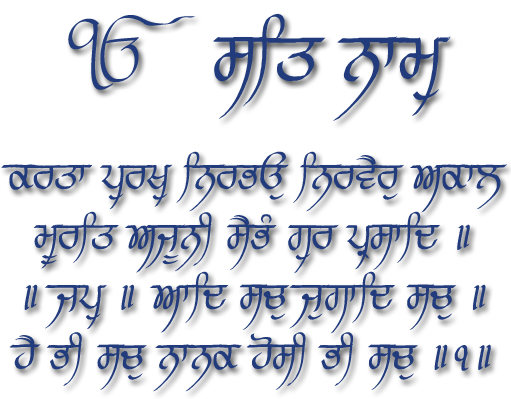 Some people regard Gurbani as a source of heavenly light. Others regard moth also as a source of heavenly light because it emits light at night. But the Almighty God is a source of hundreds of luminations. Every luminary object gets light from him. Even the sun gives light with the grace of God. 4. (Sai) Sainkre meaning thereby hundreds (bhau) one who breaks or destroys. He destroys hundreds of objects every moment. Everything laminates with his eternal light. 5. He is the source of light. 6. All the live things have his eternal light inside themselves. Everybody has life (light) because of his blessing. He is omnipresent and he destroys everything after giving them survival for a certain period of time. 1. It has a conscious form. He is worth worshipping for everybody. 2. Gur destroys ignorance and bestows his celestial light on everybody and object. 3. Gur is the name of the elder. According to Sanskrit word Gur has been coined from Gir. 4. Gir means to devour. He who devours ignorance etc. 5. Gir is the name of Bani. Bani is a form. 6. Gir also means heavy. 7. They also call immovable Gir. 8. Gir means light. Guru has his light of every Sikh. 9. A mountain is also called Gir. 1. He has the form of perpetual benediction. 2. It means away from all the tastes as well. 3. Prasadan is also the name of a Mandir. This Mandir or temple is inside everybody. 5. He has the form of contentment. 6. Gurprasad means- He can be found with the grace of God. It is the figure which becomes very clear after we worship the name of God. 1. (Jap) it is of Sermon (Bani). Sri Jap Ji Sahib bestows upon us the eternal sermon of our great Guru. 2. (Jap) is the name of Ved where in Ved means knowledge. Our great Guru bestows upon us the eternal sermon of bani. 3. (Jap) means it is worth worshipping or reciting. Those people who are blessed with Jap and Jaap are very fortunate people. 4. Jap means you have got the permission of recitation of Gods name. 5. It is worth worshipping. 6. Jap washes away your sins. 7. Jap is pious. It purifies the hearts of those who recite or worship it. 8. Jap is worth knowing. That which was true when the universe was created. As we go on reciting his name we begin to recognise the creator. Means that which was true at the initial stage. Sach is the shape of truth. 1. He was having the form of truth in the previous three periods i.e. in Satyug Theta Yug and Dvapar. 2. Truth was present before their creation of living beings and their consciousness. The truth prevailed before the creation of mankind and nature. 1. It is the truth that prevails in the present time. 2. There is strength of truth in each individual. Sri Guru Nanak Dev Ji says that the truth will remain even after the destruction of everything. (There may be dooms day and nothing will remain here. Even if the whole universe is finished the truth shall remain even then). It was requested to the Guru that how God can be realised? Then the Guru said (truth in the initial stage) first perform the selfless task afterwards worship the truth. Have faith in him. (Jugad) - As there are four periods (Jugas i.e. Satyug Treta Dvapar and Kalyug) similarly there are four different stages of meditation as well; namely renunciation detachment desire of emancipation etc. First grid up with them and then search for the truth and listen the truth. Believe only in truth. Follow the path of truth. Only then will you be in the position to find the truth. Only then the true God will appear before you in its real form. Then Sri Guru Nanak said “O my Sikh! You will perceive such a form of God which will be eternal and remain even after you leave this material world and attain moksh. It will not die with your death. “You will come across such a real form of God which will be indestructible. Then you will get perfect moksh or emancipation or salvation. You will be free from the vicious circle of birth and death." Sri Guru Nanak finishes the Mool Mantar here after putting the figure One. The whole sikh scripture is one. The whole scripture describes the true form of God.